Defeats against Spain and Canada, for the host nation on the opening day of play, Wednesday 30th November, in the Girls’ Team event at the Sun International 2016 World Junior Championships in Cape Town, South Africa, it was a difficult start to proceedings. Difficult but for one person in particular it was a proud day as she watched her daughter, compete on home soil in a competition that involves the best young players on planet earth. Similar to many mothers, she wanted her daughter to have exercise and take part in healthy past time that would steer her away from the crime ridden area in which she lives. Somewhat reserved by nature, table tennis has enabled Lekeasha, who is one of five children in the Johnson family, to grow in confidence. Mother, once unemployed, now works at the Woolworths shop in Cape Town and although she is delighted to watch her daughter play table tennis, she is well aware that education must be a priority. Notably Lekeasha has received a five year scholarship to attend the Western Cape Sports School, it is a school with a high reputation and one which Jo-Anne Johnson never believed her daughter would attend; the fees being beyond the family budget. “The first time I was told Lekeasha would be part of the junior national team, I was so excited that my daughter could be fortunate to put on the national colours of South Africa; this was joy for my entire family. Two years ago, she was given a five year scholarship to attend the Western Cape Sports School in Cape Town, for me this is one of the best schools in South Africa, it was a school I did not think I could afford; through table tennis she can attend the best school without me struggling to pay the fees”, Jo-Anne Johnson. Table tennis has undoubtedly had a major impact on the life of Lekeasha Johnson; she has been able to travel and has learned the values of life through the discipline of sport. Also a member of the South African Girls’ Team but only competing in the individual events is Danica Schlome. 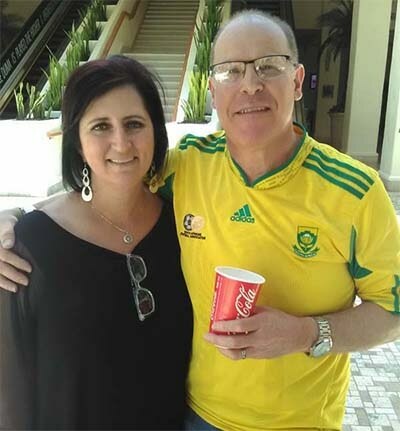 Resident in Johannesburg, Mark Schlome, father, is a financial executive; mother, Andrea, is a teacher. Both believe strongly that parents should support their children in whatever venture they decide to follow. Andrea Schlome, understandably being a teacher, makes sure that Danica balances education with table tennis; notably at school she is excelling. Also, she is the only white skinned player in the team. It is fact which her parents believe is a valuable part of her upbringing. It helps develop a person who has understanding and will grow to become a valuable member of society. Different home backgrounds but for Lekeasha Johnson and Danica Schlome, there is a common bond, one which is helping each grow into a better person; it is the sport of table tennis.